Ships today if you order in the next 11 hours 55 minutes. Over the years and with activity your joints can absorb a lot of impact, which can lead to damage or degeneration. Supporting your joints with a natural supplement can help cushion and repair joints and tissue. 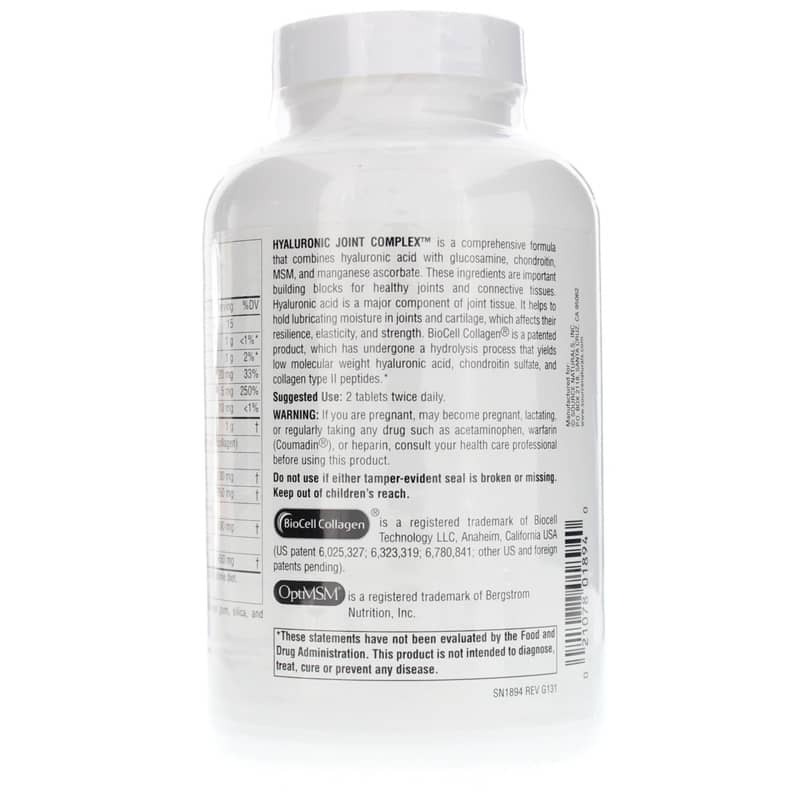 Hyaluronic Joint Complex by Source Naturals is a comprehensive formula that combines hyaluronic acid with glucosamine, chondroitin, MSM and manganese ascorbate. These ingredients are known as the building blocks for healthy joints and connective tissue. Discover the natural benefits of hyaluronic acid on your joints and tissue. 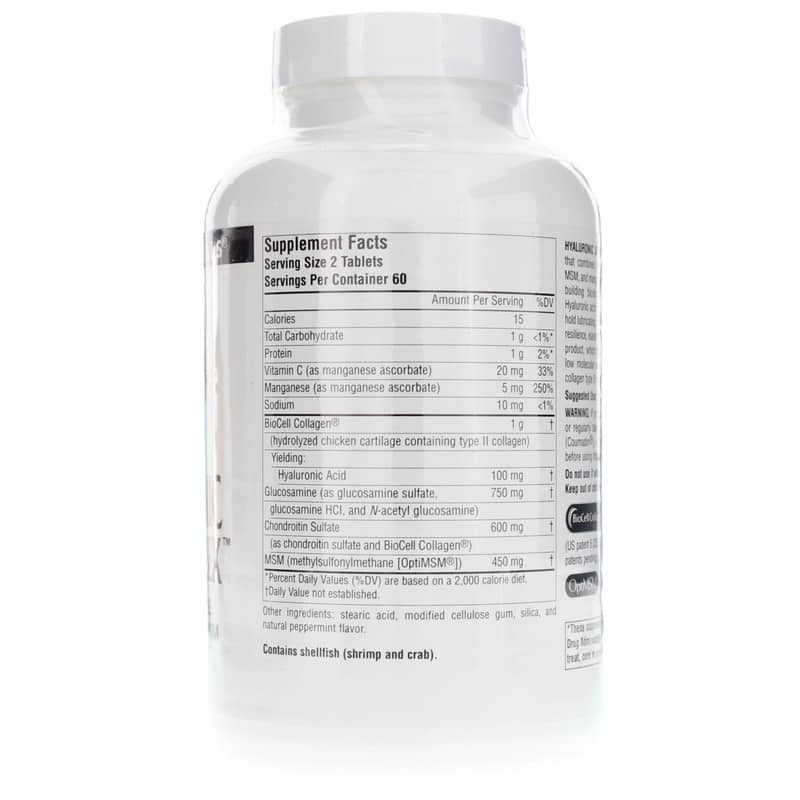 This formula contains the ideal building blocks towards better health in your joints. If you are pregnant, may become pregnant, breastfeeding, or regularly taking any drug such as acetaminophen, warfarin, or heparin, consult your health care professional before using this product. Keep out of the reach of children. 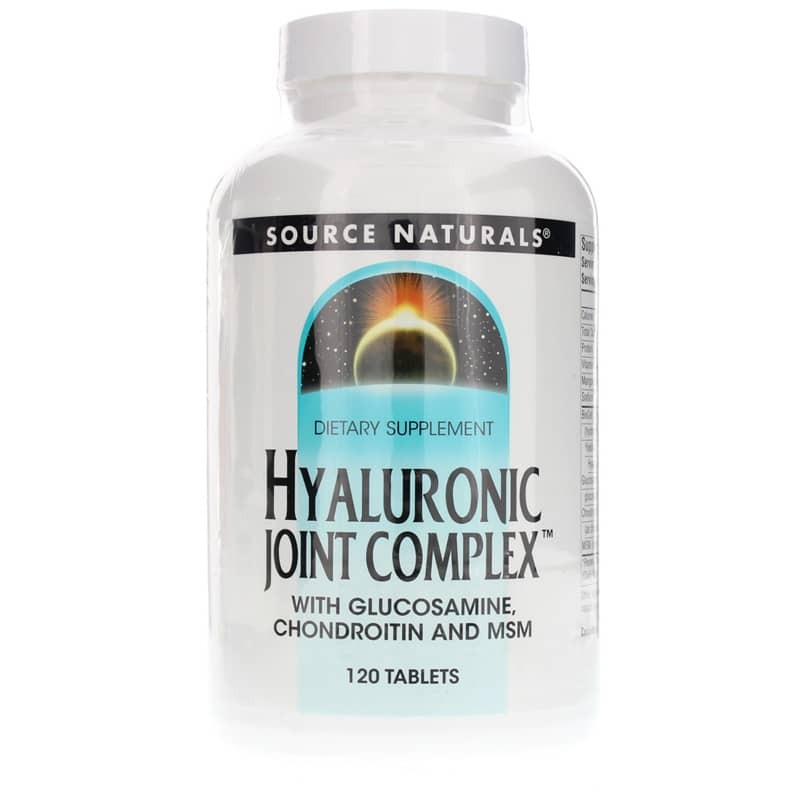 The Hyaluronic Joint Complex formula is the most effective Glucosamine and Chondrointin combination I have tried. I have tried others but this is the best! My nails are strong! I am into 5 months total KNR and I know this is helping my knee to heal!